TURN EVERYDAY MATH INTO AN ADVENTURE. 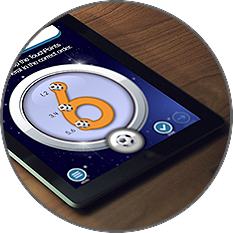 The most successful multisensory math program on the market is now available on your tablet. For 40 years, the TouchMath curriculum has been trusted by educators in schools, classrooms and homeschools around the world. 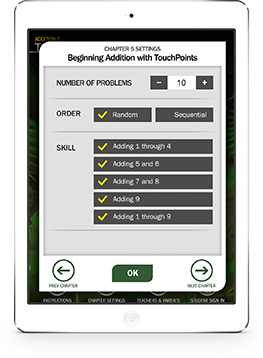 TouchMath makes critical math concepts appealing and accessible for all students, including those who struggle to understand grade-level content. That same powerful multisensory learning experience is now available in our series of interactive tablet apps that are both engaging and affordable. 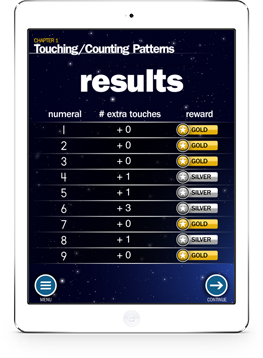 Get TouchMath on your mobile device! Click an icon to learn more. * Discounted price available through Apple's Volume Purchase Program for Education for 20 or more copies. Contact your school or district IT manager for assistance. TRY THE FREE VERSION BEFORE YOU BUY! At TouchMath we recognize that parents and teachers need to spend money wisely, so we have made free preview versions of each app available for download on the app store so you can try before you buy! Just search the app store for "TouchMath Basic"
free preview versions of each app available for download on the app store so you can try before you buy! 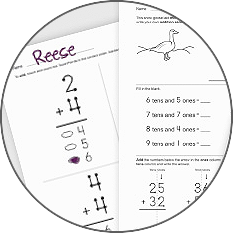 Helps learners develop number sense and understand the association between numerals and their quantities. Shows how math can be colorful, concrete, fun, and adventurous! Audio and text prompts walk the learner through each step of the learning process. Choose from over a dozen different themed TouchPoint objects for fun and variety. 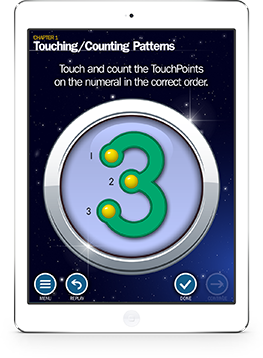 Get immediate visual feedback on which numerals need a little more practice. 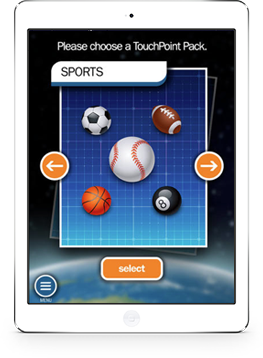 "The TouchMath Mobile app is educationally sound, easy-to-use, and engaging. It provides solid computation and problem solving. The students I tutor love it!" 28 year veteran educator, principal and adjunct professor in elementary curriculum. 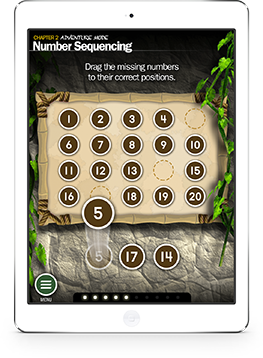 Learners unlock the secrets of an ancient jungle mystery while mastering basic addition skills. Perfect for K-2nd grade, as well as RtI, remediation, and special education. 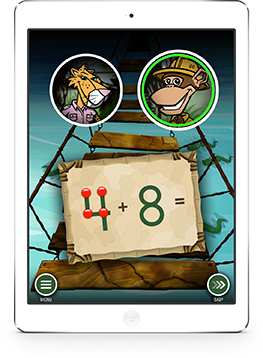 Fun characters, great audiovisual effects and an exciting storyline makes learning math fun. 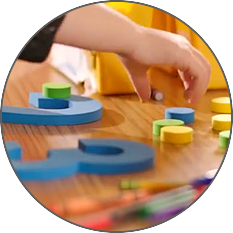 7 different chapters teach the fundamentals of beginning addition. Fine tune the app to only present the materials that are needed at the time. "It's only been a couple weeks since he started and he blazed through addition like a champ. This app made a difference where his teacher and I could not. I am so relieved!" 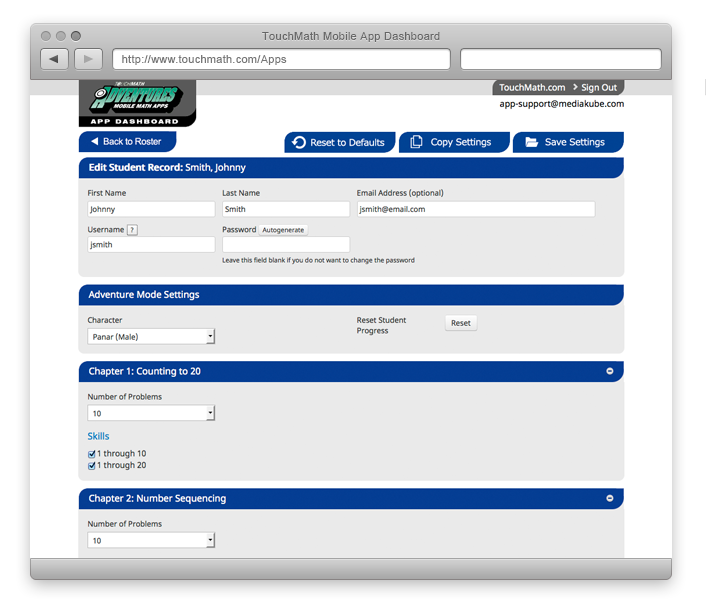 Purchasing a subscription for the optional App Dashboard allows you to manage TouchMath Mobile app settings for an entire classroom of tablets from any web browser. Plus, you can easily monitor each student's progress right from your desk. 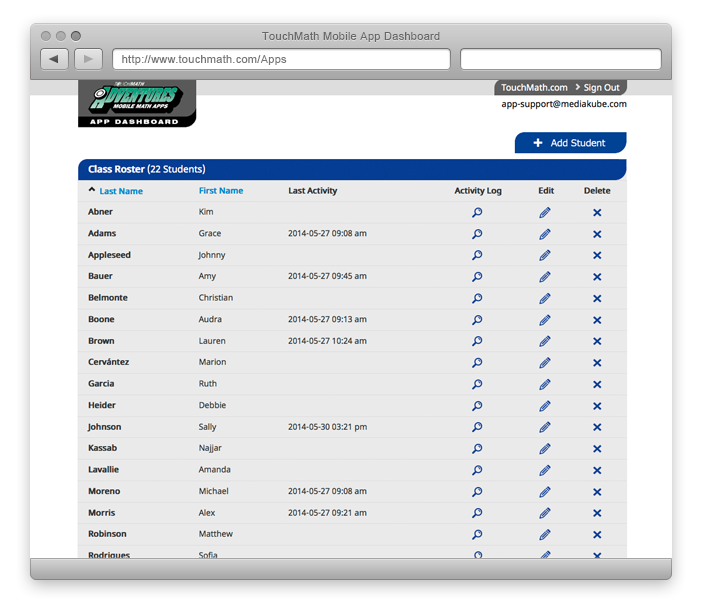 Easily manage accounts for up to 40 students from a standard web browser. Adjust the app settings for each student to provide individualized instruction. See exactly which skills each student has completed, including their scores and elapsed time. or call us at (800) 888-9191 with your questions. 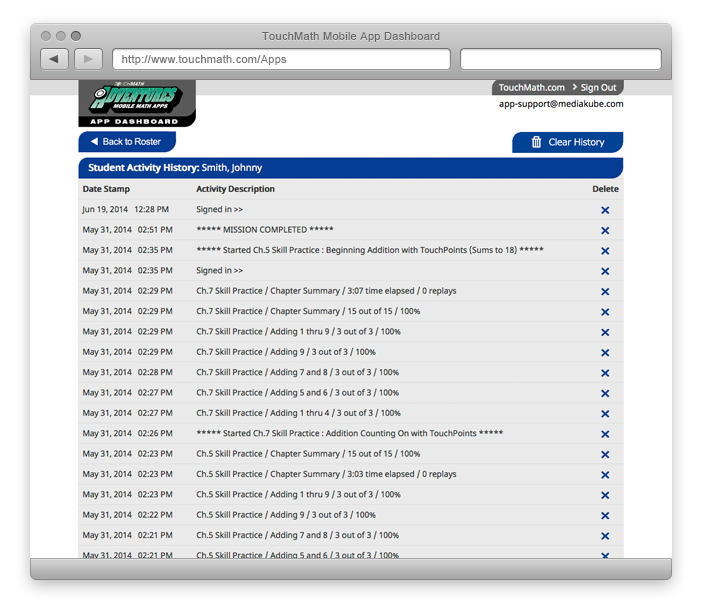 We offer complimentary email technical support for all of our TouchMath Mobile App products. Simply drop us a line at app-support@touchmath.com and we'll respond to your question as promptly as possible. Copyright © 2018 Innovative Learning Solutions, Inc. All Rights Reserved.